A garage door opener is a mounted electronic motor that opens and closes the paneled sections of your garage door. This central unit is the most integral part for guaranteeing the proper function of our garage and is often operated by remote devices or buttons. At CSS Garage Doors, we have years of experience dealing with these devices and we’ve seen the technology inside get even more sophisticated over the years. If you are looking to upgrade to a new garage door opener or simply want to repair the one you already have, our team can offer objective reviews and expert opinions about a variety of models that we offer. Because we don’t partner with a manufacturer, you have the flexibility to choose the brand and model that fit your budget. 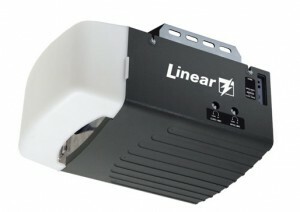 When it comes to choosing the right type of garage door opener for your home, it can be a little tricky. Luckily, the experts at CSS Garage Doors are here to guide you through the process. First, it’s important to understand the three main types of garage door openers: belt drives, chain drives, and screw drives. The main difference among these models is the type of rail system that is attached to the ceiling in your garage. Chain Drive Garage Door Openers: This type of garage door opener is defined by the long chain that extends the length of the track and does the bulk of the pulling. 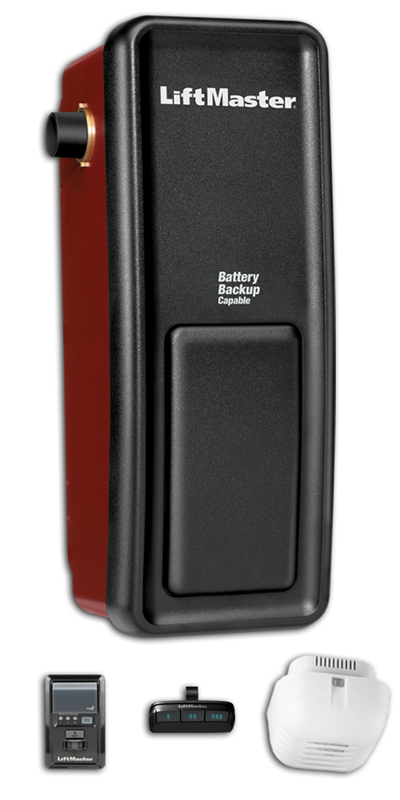 This device is usually paired with a basic 1/2 HP motor for a reliable performance. The primary drawbacks of a chain drive are particularly high levels of noise and vibration, so these are the opener of choice for detached garages. Of course, simple chain drives are available with varying levels of torque and lift capabilities, so we are happy to help you find the model that fits your needs. Belt Drive Garage Door Openers: Instead of the chain we mentioned above, a belt drive sounds just like what it is – a rubberized belt that attaches to the rail of the garage door. The simple belt is reinforced with steel for durability and offers quieter, smoother operation. If you choose a belt drive, then you want a garage door that produces as little noise as possible. The CSS Garage Door team will pair a standard belt drive opener with a high-tech DC powered motor (3/4 HP) for maximum power capacity and ultimate noise reduction. With smart-stop technology and back up battery power, our finely crafted rail-motor combinations give you the highest standard in garage door technology. Screw Drive Garage Door Openers: Finally, the screw drive garage door opener uses a long corkscrew-like pin that rotates inside the rail. Years ago, screw drive openers were popular among manufacturers, but they have recently gone out of style in favor of more efficient models (like those listed above). The device’s spinning action obviously resulted in major friction problems and quickly degrading parts. As a result, we currently do not recommend any screw drive operators for new installations, but we can still service or repair existing ones. 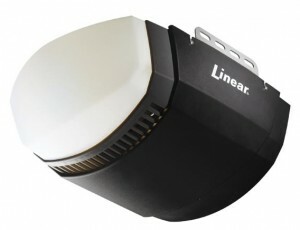 When it comes to recommending a brand that we trust, we typically suggest a standard garage door opener by Linear. Garage door operators made by this manufacturer are some of the most reliable and user-friendly in the industry, complete with all the bells and whistles for normal applications. Beyond reliability and simplicity, they offer a great line of deluxe models with enhanced performance and noise-reduction. CSS Garage Doors confidently stands behind models like the Linear Chain Drive LDO50 and Linear Belt Drive LDCO800 as our go-to recommendation for homeowners. 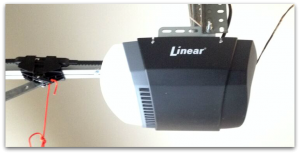 While we typically recommend operators by Linear, there are still several options from manufacturers like Liftmaster, Chamberlain, Craftsman, and Genie. While Liftmaster is probably one of the best-known brands in the garage door industry, some of our customers have common issues regarding faulty rail systems and finicky safety sensors. Despite these minor complaints, Liftmaster is still a popular, innovative brand that is nearly comparable in price and reliability to our recommended Linear models. Other models by Craftsman and Chamberlain vary in reliability and ease-of-use. While some of their models are highly rated, others are known for infrequent issues like jamming. Before purchasing or choosing a model by one of these brands, simply ask a CSS Garage Door technician if it’s a model that we trust. Genie is another economical manufacturer that once popularized the screw drive garage door opener many years ago. It has since discontinued that model in favor of more efficient belt and chain drives, though these models are not known for their reliability. After decades in the industry, we recommend certain brands over others because they offer a higher standard of durability and long-term satisfaction. These product recommendations are based on both our expertise and customer reviews that provide a firsthand account of the device’s merits. While our standard suggestions are Linear operators, we are happy to provide support or more information about other brands. Contact CSS Garage Doors Specialists today to find out how we can help you!